One of California’s newest wines has roots in a partnership extending to Alabama. Birmingham native Frank O’Neil and longtime Alabama resident Rob Francis gathered with their families last year and toasted their friendship over a bottle of fine wine. It is a ritual that has endured for decades, continuing even after the Francis family left Birmingham and moved to northern California 14 years ago. This time, however, they were enjoying a very special vintage. That’s because the vino they were savoring was their own, a bottle of Southern Roots cabernet sauvignon that is the product of a new business venture between the two families. Using grapes grown on Francis’ small 1.3-acre vineyard in the Coombsville area of Napa Valley, Southern Roots’ initial vintage produced 67 cases of cabernet. This inaugural offering was well received, earning “Gold” recognition at the 2018 International Wine Competition. Output is expected to increase to nearly 80 cases this year, to go along with production of the winery’s first chardonnay. 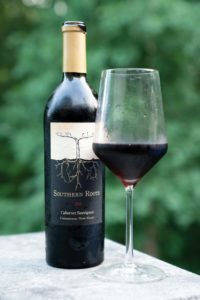 Initially, Southern Roots was available only by ordering through the Southern Roots website and picking up the wine at a local ABC store. Now, “Rush Wines has agreed to distribute statewide, ” says O’Neil, “So all wine shops and restaurants can now order it. I believe we will have it on some wine lists and in a few stores shortly.” Rush Wines is based in Birmingham but has reps statewide. The friendship between the two families began when O’Neil and Francis met while working at ProAssurance. They went on vacations together, their children (six total) grew up together, and they shared favorite wines along the way. 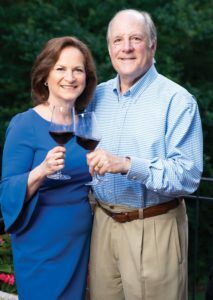 When Frank and Janet Hall O’Neil lift a glass of Southern Roots cabernet, it’s in every sense a toast to home and friendship. In 2004, Francis took a job in Napa Valley, where it is more common for homeowners to grow grape vines than grass in their yards. So Francis planted an acre of cabernet in 2008, and, once he gained a mature crop four years later, began selling the grapes to wineries in the area. “There are all these people in Napa who have something to do with the wine industry, so you just kind of fall into learning about it, ” Francis says. “At first it was just a toe in the water by planting an acre of grapes. Then I planted another half-acre. Around that same time Francis met veteran winemaker Rudy Zuidema, a northern California native who had become a private producer after working for such well-known wineries as Robert Craig and Ehlers Estate. Zuidema, meanwhile, was becoming increasingly intrigued by Coombsville’s burgeoning wine industry. The region has been an American Viticultural Area (designating it as an official wine grape-growing region) for fewer than seven years. But Zuidema says Coombsville already has gained a reputation for producing product with a distinctive taste, partly because the region is located near the San Pablo Bay and receives the cooling effects of marine air and fog. “We are at the very edge of where it would be too cool (to grow wine grapes), ” Zuidema explains. “Because of that, this wine has more of an old-world character like you find in France and Italy. Instead of just tasting these big, bold California fruit flavors, everything is more in balance. It’s a completely different wine character from most of Napa Valley. 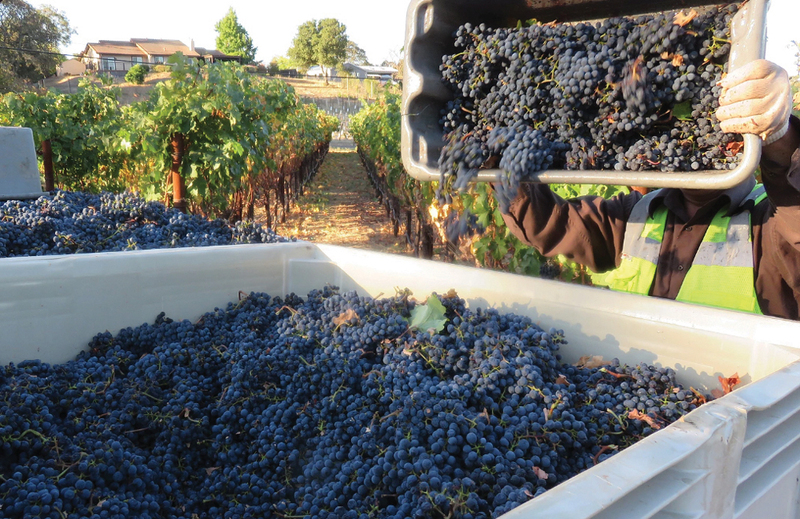 The grapes that make Southern Roots grow on Napa Valley land owned by Rob Francis, the West Coast half of this California-Alabama partnership. While it might seem odd to associate Alabama with fine wines that sell for $90 a bottle, O’Neil and Francis do not shy away from their, well, Southern roots. In addition to the name of the company, the logo adorning every bottle shows a grape vine with roots that form the outline of the state of Alabama (as well as California). “I lived in Alabama much of my adult life, and all my children were born in Alabama. So Alabama is still home to us, ” Francis says. “And certainly the Southern culture represents that warmth and hospitality that we associate with drinking good wine with good friends. If this year’s release goes well, O’Neil says Southern Roots might increase production to as much as 250 cases next year. “We’re starting small to build demand and get people familiar with the quality of the wine, then we’re going to expand the distribution and the amount we make, ” O’Neil says. “We’re not in this to lose money. It’s a sideline, but it’s not just a hobby. It’s very much a money-making venture. Cary Estes and Cary Norton are freelance contributors to Business Alabama. Both are based in Birmingham.